It depends. Can you do without it? Unless you need your laptop to conduct University business, we recommend that you do not take it. Should my laptop be encrypted? Probably. Be aware that even on re-entry to the United States, custom agents may examine your laptop. Some countries restrict the export of electronic devices (including laptops), software (including encryption software), and other technology. Before travelling internationally, check with the US Department of State to ensure you have up-to-date information on controls that may apply. In some cases, it may be necessary to obtain prior authorization in the form of a license from the country of export or import. The export of US-origin technology (from any country), including but not limited to, encryption software, may also be prohibited without authorization before it is carried or shipped abroad. Many commercially available electronic devices (e.g., laptops, iPads, cell phones, and digital storage devices) come with pre-loaded encryption software which is subject to export controls administered by the Department of Commerce. Many of these items can be temporarily exported under license exceptions referred to as “Temporary exports-Tools of the Trade” (TMP) or Baggage (BAG). Under the TMP exception, when laptops and other devices (including related technology and software) are: used for professional purposes, returned within 12 months, kept under effective control of the exporter while abroad (i.e., kept in a hotel safe or other secured space or facility), and other security precautions are taken against unauthorized release of technology (i.e., use of secure connections, password systems, and personal firewalls), then the TMP License Exception might apply. The baggage (BAG) license exception covers personal items that are owed by the researcher and intended only for their personal use. It is important to note that these license exceptions do not apply generally to embargoed countries, like Cuba, Iran, North Korea, Sudan, or Syria. If you require guidance on export controls prior to travelling, please contact the Office of Compliance and Ethics. Back up all data before your trip. If there is confidential information or sensitive information on your computer that will not be needed during your trip and that you don’t want others to see, store it on your network share or other approved back-up device and remove it from the computer that’s traveling with you. It may be appropriate for you to talk with your department about taking a loaner laptop on the trip. What should I do during my trip? Assume that your laptop will be examined. If you are working during the trip, ensure that you are saving to your cloud provider or to USB flash memory. 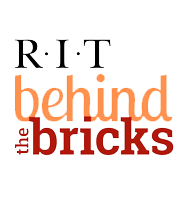 Keep your direct access to RIT systems and information resources at a minimum. Computers and devices are easy targets for thieves when you’re traveling. Stay aware of your surroundings at all times, especially in busy areas such as baggage claims and train stations. If your RIT-owned laptop or device is stolen, please report it to RIT Public Safety, 585-475-2853. What should I do to prepare for my return home? Again, assume that your laptop will be examined and may be placed in checked baggage. Consider shipping the laptop back in a suitable container to the United States instead of taking it on your flight. What should I do when I have returned home? When you return home, change your passwords. Contact your service desk to erase and re-image your hard drive and other components.